Tuesday, 26 March 2019, 6:20p.m. 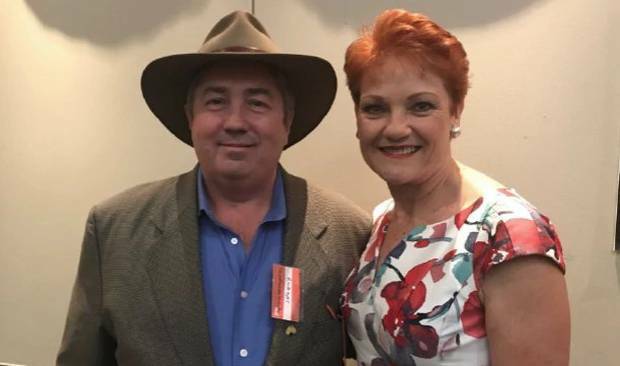 An explosive investigation has revealed senior One Nation figures tried to bag millions of dollars in political donations from America's largest gun rights lobby, while softening our gun control laws. The results of the investigation spawned a documentary called How To Sell A Massacre, exposing One Nation's efforts to solicit money from US gun advocates just weeks before Australia's federal parliament banned foreign donations to political parties. "I assumed the role of a gun advocate, pretending to campaign for a repeal of Australia's rigid, gun control laws, and pretending that I wanted more firearms in the hands of Australian citizens," Muller said. "In fact, I disagree with all of those things. I believe the gun lobby's efforts to conceal the truth, which concerns public safety and constitutional rights, should be brought to light." 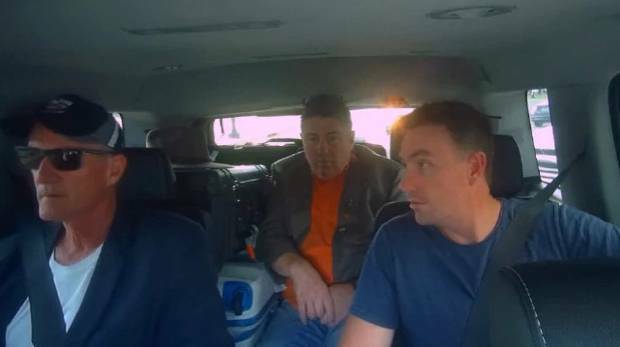 The journalist posed as a grassroots campaigner and set up meetings between the NRA and One Nation, which he covertly filmed. 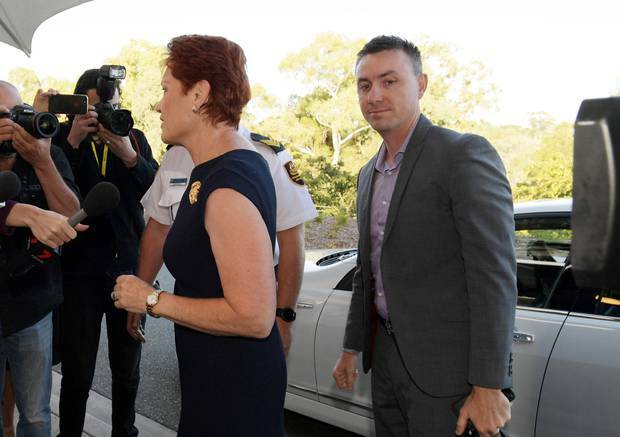 The secret footage reveals Pauline Hanson's chief of staff James Ashby and One Nation's Queensland leader Steve Dickson seeking political donations and exploring ways to undermine Australia's gun laws. "We get the balance of power, very simply that means that we have the testicles of the government in our hand at every given stage," Mr Dickson says in the footage. "And guns, in the scheme of things, are still going to be the be-all and end-all." In another meeting, one of the NRA's senior media liaison Lars Dalseide gave the pair advice on how to address gun control advocates in the event of mass shootings. "I love that," replied Mr Dickson. "It's like, 'If you, if your policy, isn't good enough to stand on itself, how dare you use their deaths to push that forward?!'" Mr Ashby then chimed in: "That's very good, very strong." "You have somebody who leans to your side that worked at a newspaper, maybe he was covering city hall or was a crime reporter," he said. "We want to print up stories about people who were robbed, had their home invaded, were beaten or whatever it might be and that could have been helped had they had a gun. And that's going to be the angle on your stories. That's what he's got to write. He's got to put out two to five of those a week." In a separate meeting, Mr Dickson tells the NRA that One Nation "lacks money" and lacks "people on the ground", and requests that they "point us in the right direction". "If we get to a point where we can talk about figures, what sort of number are you guys thinking?" asked Muller. "I'm thinking 10," said Mr Dickson. "No, I was thinking 20," said Mr Ashby. In the meeting with Koch Industries, Mr Dickson said he could "change the voting system in our country" with the right amount of funding. "If we could get that amount of money, imagine: we could change Australia," he said. "You'd have the whole government by the balls. In a separate instance, Mr Dickson said the parliamentary firepower would give One Nation the ability to weaken Australia's gun laws. "Mate, we want to get funding," he said. "That is really the nuts and bolts, because we can change everything in this country… If they threw ten million at us, we could f**king win a heap of seats." Last November — just two months after this exchange — Senator Hanson denounced slammed foreign donations in a Senate debate. "Overseas money should not have an influence on our political scene, so I believe that foreign donations should be totally stopped," she said. "If it gets out, it'll f**king rock the boat," Mr Ashby said. "This s**t goes through my head every single minute of my day." In another instance, he mentioned he "always keeps a private email … because work emails are never private". Prime Minister Scott Morrison has described the documentary as "deeply concerning". "Australia's gun laws are world's best thanks to John Howard and we will not be changing them," he tweeted. "Thankfully our Gov has also made laws to criminalise taking foreign political donations so foreign lobbyists cannot seek to influence our politics." "Al Jazeera are a state owned propaganda arm of the Qatari government that supports Islamic extremist groups and are not a legitimate media organisation," the party said in a statement. "The matter has been referred to ASIO and the Australian Federal Police due to concerns of foreign interference into Australian politics in the lead-up to the imminent federal election."